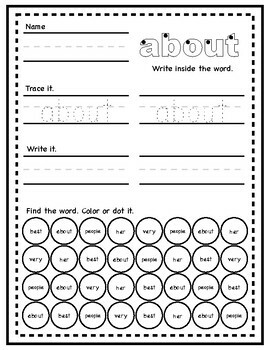 Practice your word wall words with these worksheets! 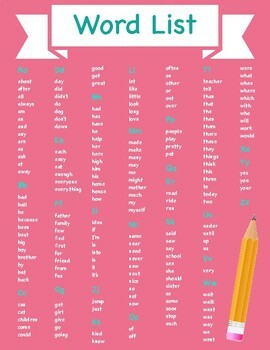 Perfect for morning work or sight word review. 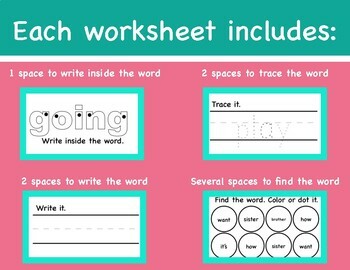 Each worksheet includes 1 space to write inside the word, 2 spaces to trace the word, 2 spaces to write the word, and several spaces to find the word. 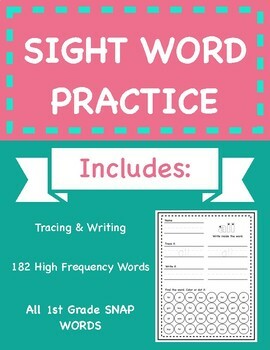 This package includes 182 high frequency words, including all 1st grade snap words. A complete word list is available in preview. Worksheets are in alphabetical order.